This Brisbane Granny Flat is sleek & contemporary and has been modeled off of our very popular Seascape 60. 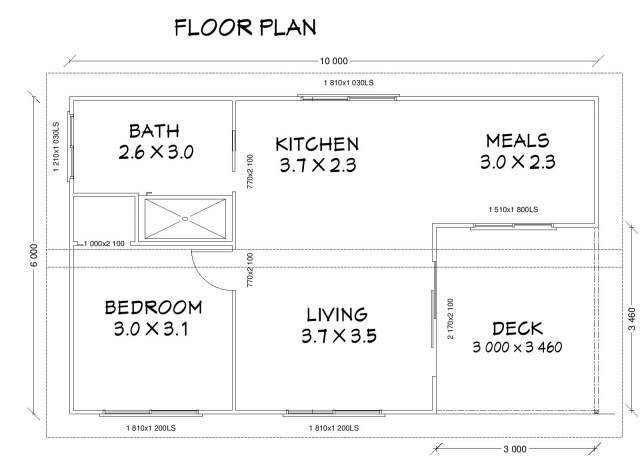 The Seascape 50 Granny Flat Kit offers defined spaces and is the perfect design for any block with a 50m2 maximum living area. The Seascape 50 – Brisbane Granny Flat comes with pre-fabricated ready to stand wall panels & roof trusses for easy installation by your preferred builder.